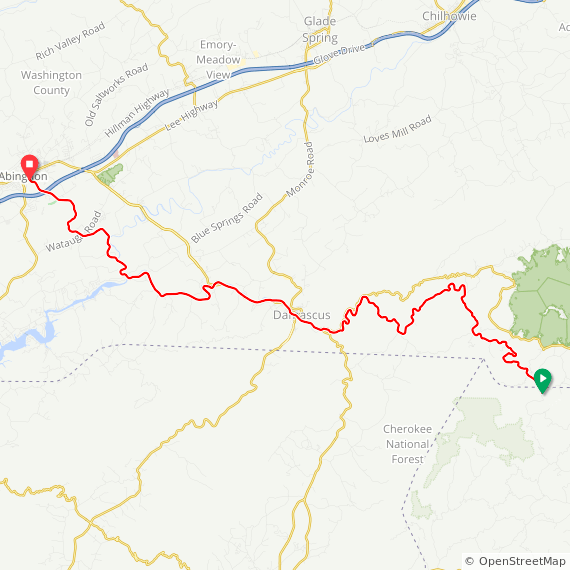 The Virginia Creeper Trail is a stone dust path that runs 35 miles from Abingdon Virginia to the North Carolina state line near Whitetop Virginia, following the course of the former Abingdon Coal and Iron Railroad. It was named after the steam engine that once climbed the rails into the Iron Mountains. The U.S. Forest Service and the cities of Damascus and Abingdon Virginia worked together to create a general purpose recreational trail. Our friend Laurie toured the trail last summer.